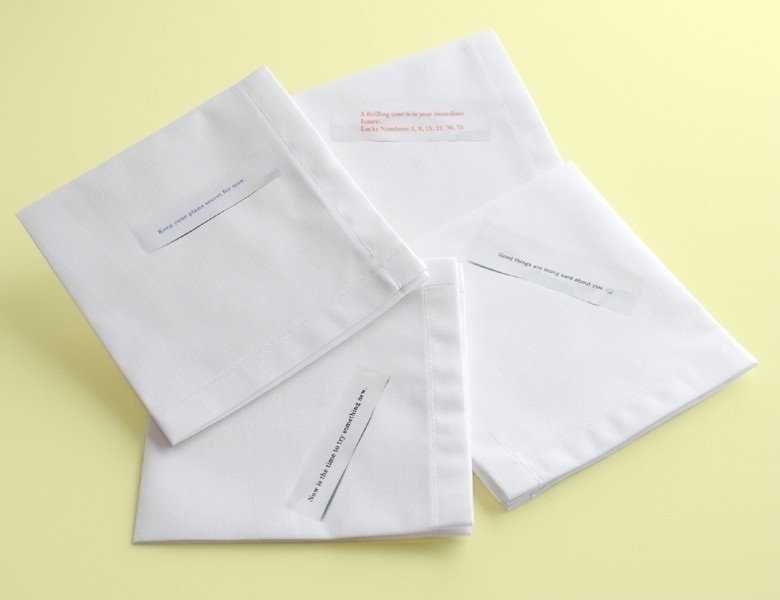 I recently brought a set of cloth cocktail napkins to a friend in her new home. They were a hit, especially since her napkins were hiding out in a moving box. Useful, but slightly indulgent too since it’s not something you might splurge on for yourself––which is always the mark of a good gift. 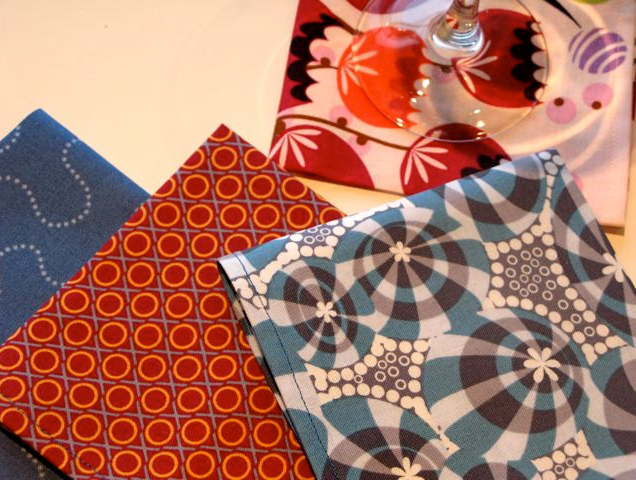 Beyond a housewarming, fancy(ish) cocktail napkins are perfect for any holiday glass-clinking occasion. I like the random pattern assortment of these cotton squares stitched by Sarah Keack of Yellow Bird Designs. Toronto based designer Avril Loreti imparts secret messages with five themes: wisest words, future, travel, success, dreams. Kinda perfect for a New Year’s Eve party. Simple and elegant in white and red from CB2. Embellish with a monogram or embroidery. 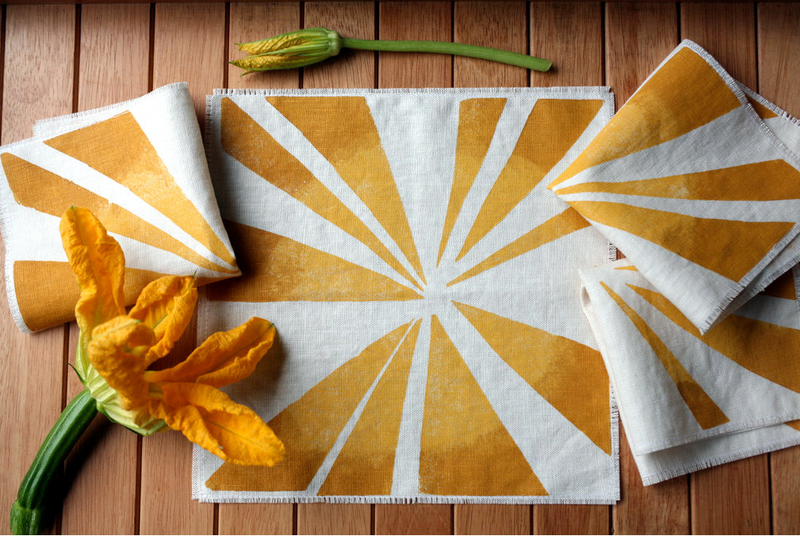 Bright linen block-printed napkins by Blake Kahan of Willow Ship are almost too pretty to use. Or give away. This entry was posted in gift and tagged cocktail napkins, holiday, housewarming gift by lhouse. Bookmark the permalink. Great suggestion! 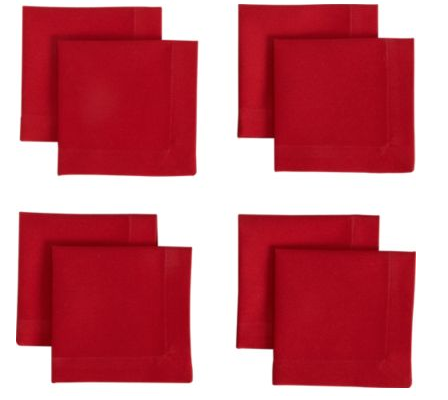 I just ordered a bunch of cocktail napkins to take to holiday parties.